Charlie Slater. Photo by Winkipop Media. So what do you do if you’re a seven- or eight-year-old boy and both your mum and your sister appear to be having all this fun dancing? That was a decade ago in the NSW northern rivers town of Alstonville (population roughly 6,000). Nurtured by his ballet dancer mum SherryAnn, the young Charlie discovered that he had a talent for dance. 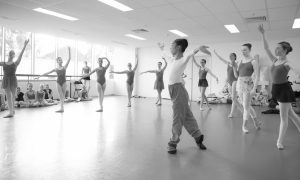 It wasn’t until he was 15, however, and had received a Yulgibar Scholarship to attend the country’s most prestigious performing arts specialist school down in the big smoke that Slater really switched on. 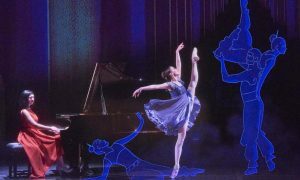 Indeed, Slater is quick to cite his contemporary Harrison Lee, a McDonald student and Prix de Lausanne winner at 15, as an inspiration and “someone I could look up to”. These days, Slater is fitting his Year 12 HSC studies in around a four-hour-a-day dance regime. If that sounds like a big shift for a teenage boy (insert clichés about how lazy they generally are), fortunately Slater just loves it. “So it’s not so much of a challenge really,” he casually declares. 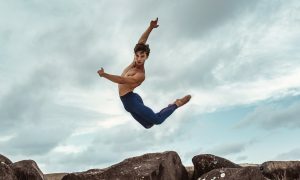 At 17, though, the scale of the undertaking is rightly subservient to the sheer lustre of the dream; but, like so many boys who are drawn to ballet, Slater has not been confronting the difficulties of the craft but instead the resilient stigmas surrounding young men who dance. Although there are still school work, exams and the inevitable cattle call of auditions to contend with, the young country kid who wanted to join in and have fun with his mum and sister will soon be set to fly.